As a self-proclaimed foodie I’m always in search of food festivals, food tours, tastings, or any other food—related events that are happening in my ‘hood. Therefore, I was excitedly counting down the days when I heard that the Rrrollend food truck festival would be held in The Hague at the end of September. 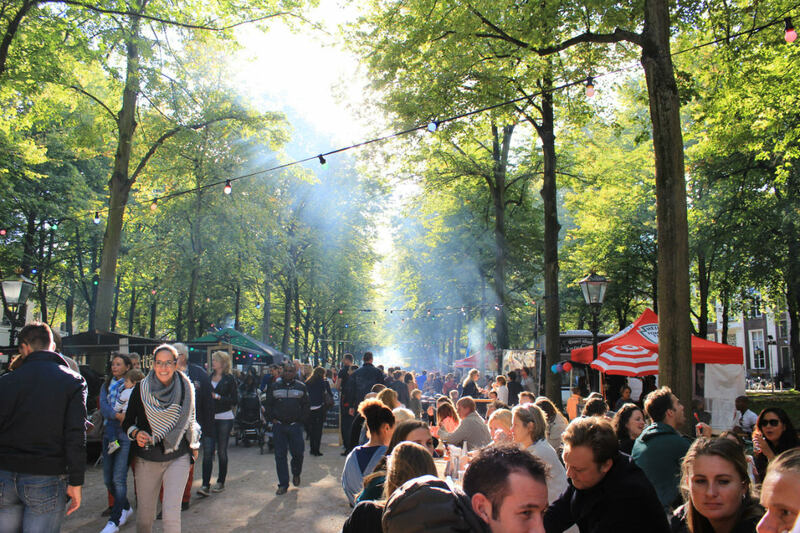 The Rrrollend festivals started a year ago, however, they really stepped up their game this year with 11 Rrrollend food festivals across the Netherlands. Besides The Hague there were events in Dordrecht, Groningen, Katwijk, Zwolle, and in Nijmegen, Leiden, Rotterdam – twice this year. The majority of the food trucks present at the festival are likely to be familiar to those who are avid festival goers although (luckily) local food trucks are also included. The Rrrollend Den Haag was held between 27-29th September on the Lange Voorhout, one of the more serene parts of downtown The Hague. It’s a beautiful street lined with trees that hosts a regular antique market every Sunday, rain or shine. It is also a great location for those who want to do sightseeing in the city of Peace and Justice with plenty of sights just walking distance from the Lange Voorhout – such as the Escher museum, the Prison Gate museum , the Binnenhof, and the Mauritshuis to name but a few. Besides the usual food festival suspects – burgers, pulled pork sandwiches, and fries of all sorts – I was happy to notice that there were trucks that sold more unusual snacks … at least as far as food festivals go. 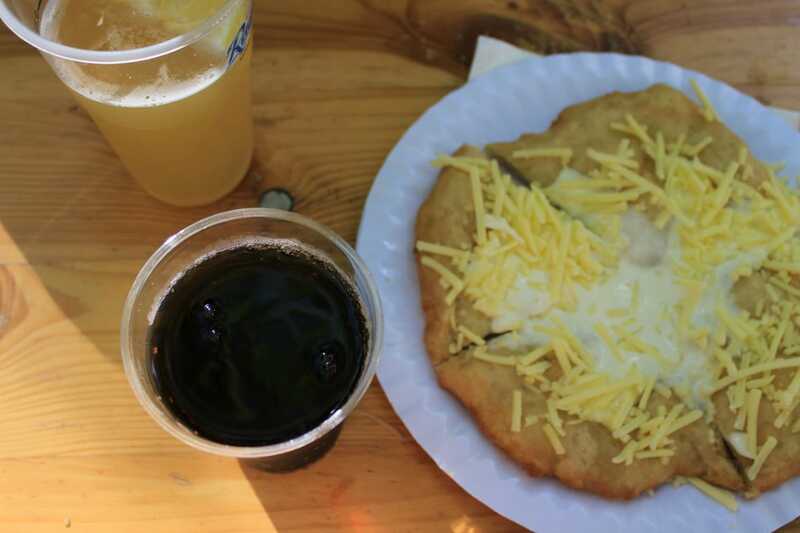 My heart skipped a beat when I noticed that one of the vendors was selling langos, a Hungarian flatbread that’s made out of dough that (very) vaguely resembles that of a very light donut. It’s a savoury dish usually served with sour cream (as with most things back home), grated cheese, and a hint of garlic infused sauce underneath all this yumminess. 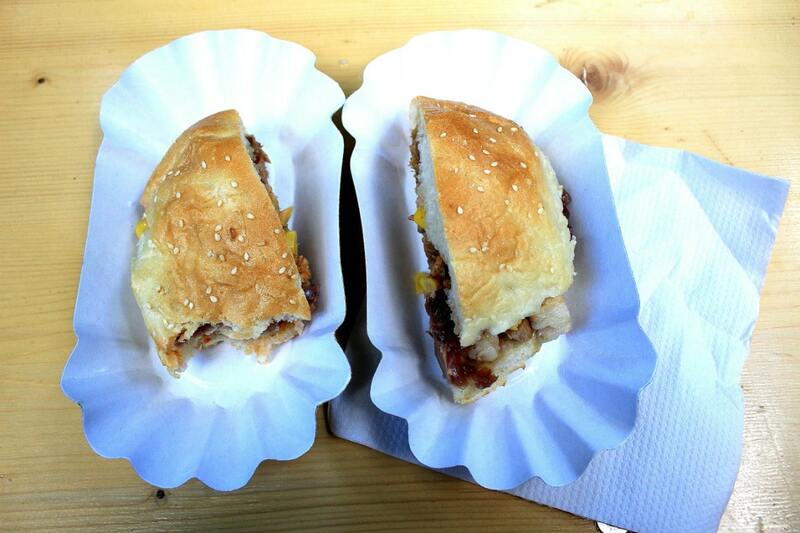 It is really an amazing street food snack and a great choice for such a festival. It’s filling but not too filling, it’s easy to devour, and the ingredients are not expensive. Turned out the couple owning the truck were Dutch and fell in love with langos in Germany (!!!). I’d like to take the opportunity to let that couple know that if they’re ever planning to improve their recipe I’m more than happy to become their guinea pig. I also liked the unassuming white truck of Cart Blanche who were selling two kinds of sandwiches: one with Iberico Chorizo and the other with pork belly and pork cheek. I went with the latter simply because …well, because I knew I had to leave space for other snacks to be able to write a decent review (oh the sacrifice!). I really fell in love with this simple sandwich with the juicy pork belly and cheeks, sweetcorn, pickled red onions, and a mystery sauce (mayo and sambal…?). It was simple but oh-so-delicious. 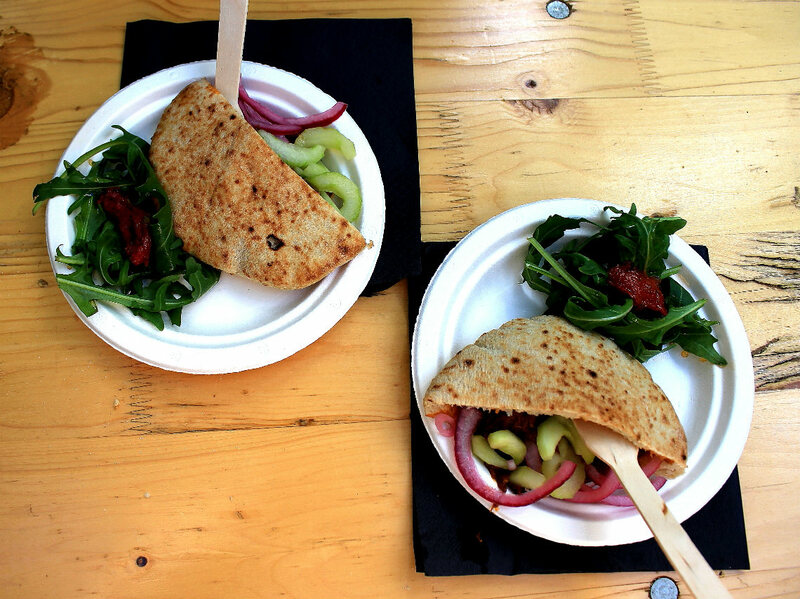 My third and final choice for a savory snack was the beef stew in pita served with fresh cucumbers and pickled red onions (recurring theme here!) at the VOERTUIG truck. A lovely, heart-warming comfort food that I could eat basically anytime during the day. The only improvement I could think of is add more heat to it – it would enhance the wonderful flavours even more. I finished up this gastronomically hedonistic day with a dessert – it would be great to see more trucks selling desserts at these food festivals other than the compulsory brownies, poffertjes, and macaroons. Luckily the Metropolitan Mobile Pastry truck was selling bread and butter pudding with vanilla sauce, one of my favourites and it was just divine. Needless to say I left the festival with a full belly and a big smile on my face. I’m already counting down the days for the 2016 edition. Noémi is a thirty-something Hungarian who moved to the Netherlands many moons ago but is still trying to get her head around the clogs, bikes and 'harings' . She considers herself adventurous when it comes to food and travel…although those who have seen her struggle with a haring/ stroopwafel/ stamppot might disagree. She loves trying out new restaurants and dishes and luckily the Hague has been a perfect playground for that.